Well i lost my fox red lab dog to cancer 2 weeks ago. I moved heaven and earth trying to save his life and couldn't. My wife and I have been through hell and back. hard to train up ? i have heard different ideas that they are very lively and hard to train they are no good till there at least 3 year old as they are nuts. I really fancy one any advice would be very help full . Losing a dog can be heart breaking. Some people deal with it better than others. If you are a doggy man then get another. As for spaniels, I had no experience with them until I got my sprocker getting on for five years ago. I can honestly say it has been a greatly rewarding experience, certainly for me and hopefully for the dog too as he has had over 300 days out shooting with me. 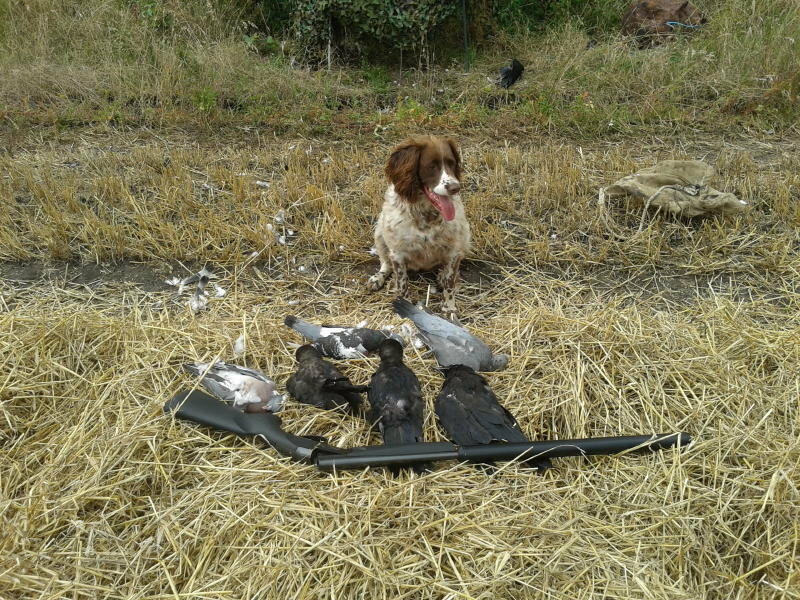 I have a Ess dog and think they are great, I do rough shooting a bit of wildfowling and pigeons/rooks and crows, he is fine on all of them, he is of the calmer bred ones so great with kids and other dogs as well. only difficult bit of training was to get him to pick up runners, now sorted that one. 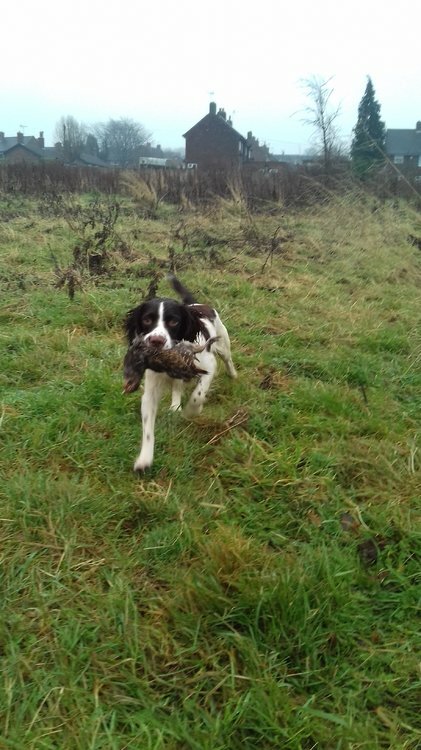 For what I do a Springer is good enough for me, my friend does all the same and uses a Lab equally as well, so it depends on what you are happy with. Like Dave says many blame the breed not themselves or their training methods when it goes wrong. Training a springer not that difficult buy from good working stock also try to see both parent's if you can. BB sold me my latest springer and he has been so easy to train. At the end of the day you will only get out of the dog what you have put in. Go for it. Spaniels are a lot different to labs mind (as I realized!) but I love how much enthusiasm they have where as our lab is more laid back and occasionally gives the 'do I have too?' look. 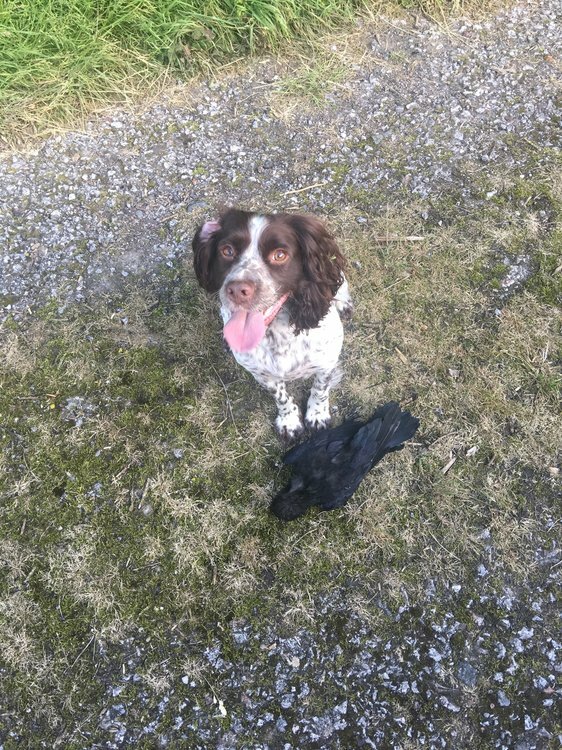 Getting a spaniel has even started to convince my other half (lab man) to possibly get a spaniel next..
And your dog has been lucky enough to retrieve Grey Partridges. Thanks J dog yes grief especially for my wife is a very hard thing to cope with and yes I will be buying another dog as i am a firm believer in if you shoot you should have a dog. Thanks to all for your very welcome advice given me food for thought. The first springer I trained I used Peter moxans book .I put the time in training him . He was born in January and I took him beating in November .After the first drive the keeper told the beaters to put the dogs on a lead.There were 100 of birds on the ride . He told me to work my dog to flush a few .then I had him drop to the whistle.Only trouble was he was a crocodile .presant springer was a very slow learner he's ok now.Ive had 2 labs in between good dogs.Thing is with dogs every ones different the more you put in the more you get out.Dipper. could you give me the title of the book please ? i have talked it over with the wife and she is keen on a ESS. 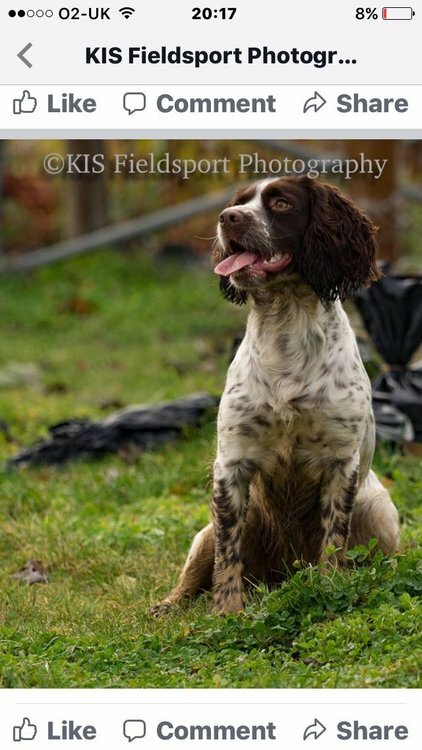 I am very capable of training dogs as i have done all my shooting life but never a springer and may need all the help i can get thanks for your help. If I can find it I have this book somewhere and I will gladly send it to you. 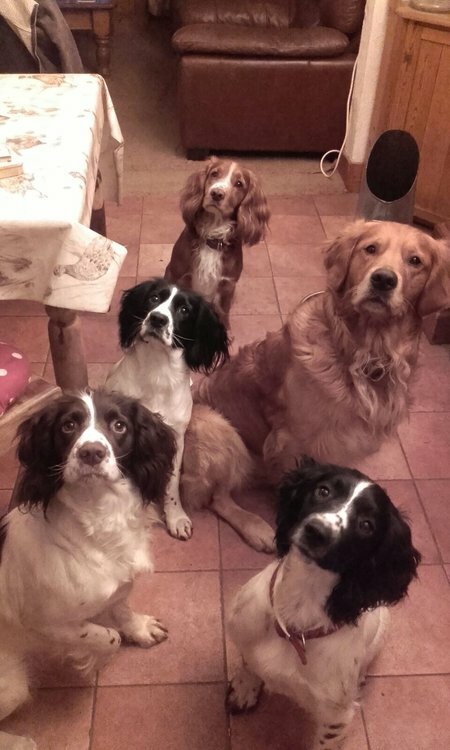 Recommend Joe Irving "gundogs their learning chain" Joe was a spaniel trainer. Peter moxons book I recall as being "Training the roughshooters dog" .There should be loads second hand online and it is a good book. well that's very generous of you J dog Thank you. Thanks Dave will have a look for it and buy it thanks for your help. As a follow up I bought it of ebay. i have a 6 year old female springer,a real giant 37kg when last weighed,and ever so calm,she is my perfect hide dog,and a brillant retriever over and in water. That is bigger than my red setter and he is big at 32kg. Are you sure its not a liver and white Large Munsterlander. no lori defo ess she was bred near brecon,some ft champs in pedigree.i would love to know if her siblings were this big.